The month of July is labeled as Picnic Month, and for good reason. 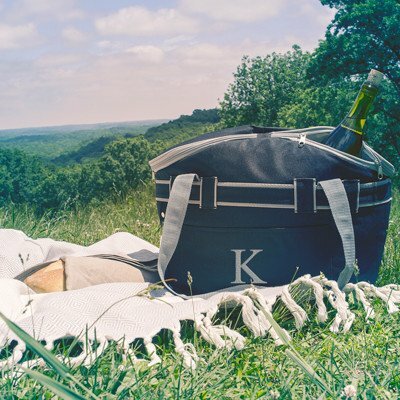 A beautiful summer day is the perfect setting for a leisurely afternoon picnic. If you are planning a summer wedding, there are a few different ways that you can incorporate this fun meal into your wedding activities. 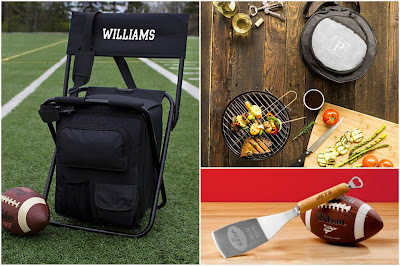 We consider tailgating kind of like a picnic for guys, and WhereBridesGo.com has plenty of sports-themed groomsman gifts that you can use for that. Grooms that are sports fans will enjoy heading to a big game with their buddies. Football season hasn't started yet, but there are tons of baseball games to tailgate at. A weekend away on a wine trail is an excellent idea for a laid-back bachelorette party. It can work equally well for a lovely, outdoor bridal shower too. The bride and her ladies can grab a blanket and pack a cooler full of cheeses, fruits, and their favorite chilled bottles of wine. Those things will keep you nice and cool while relaxing in the grass under the sun. This is generally a smaller gathering for only the wedding party and close family members. 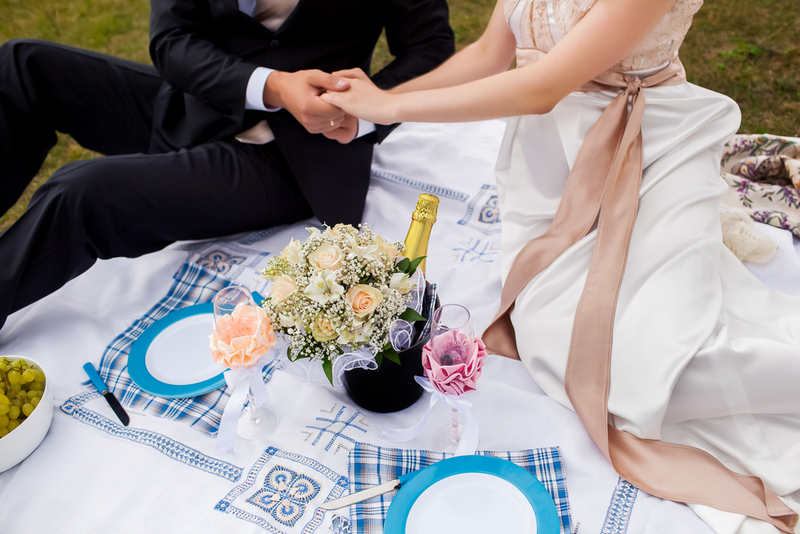 If you are getting married in a scenic area, treating everyone to an informal picnic the evening before a formal wedding can be fun. It gives them all a chance to let their hair down a little and get to know each other before the big day. If your wedding is on the more casual side, hosting a picnic-type reception or cocktail hour may be an option. Beach weddings are perfect for letting your guests kick off their shoes and sit upon a pretty blanket on the sand. If your guests will probably not be dressed for sitting on the ground, beautifully decorated rectangular or picnic tables could be a better option. A rustic country wedding with home-style BBQ for the main dish would work wonderfully with a picnic theme. 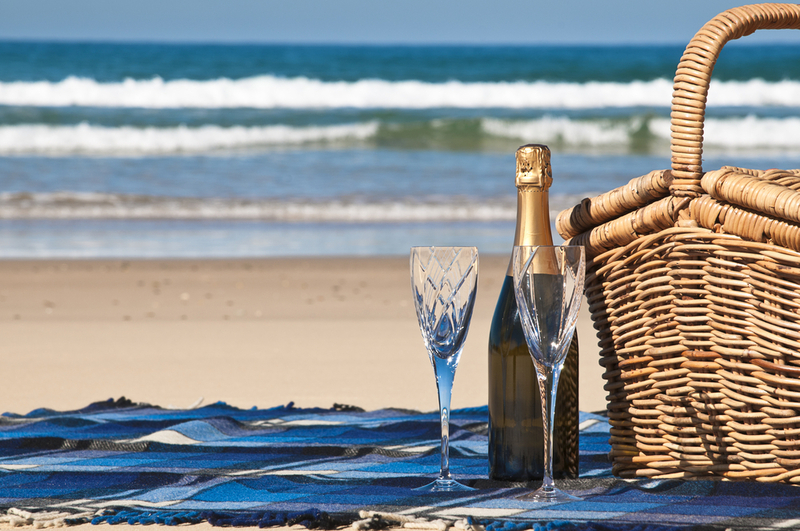 With the proper setup, a picnic can be incredibly romantic. Even if you don't want to incorporate one into your wedding, it is an excellent idea for a bride and groom date night. 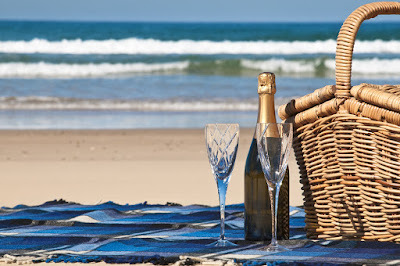 WhereBridesGo.com has lots of different items in our online wedding store that would be perfect for any type of picnic. Then, every time that you use them again, you can fondly think back to this romantic time in your life.